Here’s just a little number for you to give you an idea as to what the globally market looks like for the Apple iPhone. You hear a lot of quarterly numbers on just one version or another – like shipments for the iPhone 3GS in Q1 2011 or estimated shipment numbers for the new Apple iPhone 5 in 2011. But what about the overall global shipment numbers for the iPhone device as a whole. How many iPhones are being shipped out by Apple in 2011? It might amaze you to know that Apple will ship nearly 100 million iPhones out their doors by the end of 2011. 26 million (around 25%) of all iPhones shipped is expected to be the new Apple iPhone 5.
iPhone 5 will account for 25.5-26 million units, according to Taiwan-based supply chain makers. iPhone 5 orders for the third quarter of 2011 have been lowered from seven million units to 5.5-6 million units, while fourth-quarter orders have been raised from 14 million units to more than 20 million units, the sources pointed out. Total orders for iPhone 3GS, iPhone 4 and iPhone 4 CDMA for the third quarter exceed 20 million units, and fourth-quarter orders have been reduced to eight million units, the sources indicated. 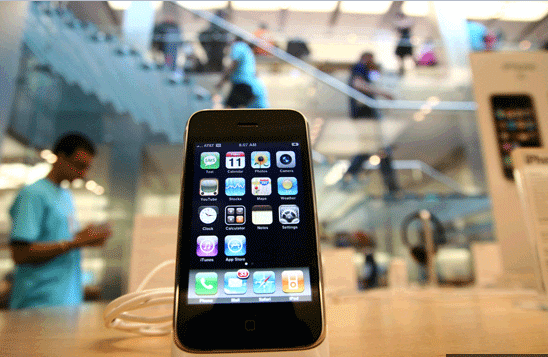 Total shipments iPhones in 2011 will reach 95 million units, the sources noted. While Taiwan-based supply chain makers will benefit from increased component orders, they are expected to see pressure for price cuts from Apple, especially touch panel makers which account for the largest proportion of total production costs, the sources said.